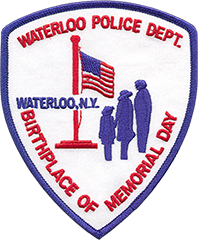 The Waterloo Police Department reports that on November 8th, 2018 at about 10:01pm, officers arrested two individuals in possession of large quantities of heroin and cocaine. Arrested were Hector O. Vellon-Lopez, age 37, of 365 St. Paul St Rochester, NY, and Kenneth O. Garcia-Gonzalez, age 25, of 105 Joseph Ave Rochester, NY. The charges stemmed from a traffic stop on East Main St in the Village of Waterloo, where it is alleged that Vellon-Lopez was operating a motor vehicle with inadequate brake lamps and failed to signal a turn. Upon further investigation, it was found that Vellon-Lopez in possession of marijuana. After a vehicle search, quantities of cocaine and heroin were found in the vehicle. Vellon-Lopez and Garcia-Gonzalez were both charged with two counts of Criminal Possession of a Controlled Substance in the third degree (class B Felony). Vellon-Lopez was also charged with traffic offenses including operating without a license, unregistered motor vehicle, inadequate brake lamps, and failure to signal a turn. Both individuals were turned over to the Seneca County Correctional Facility to await Central Arraignment Court. The Waterloo Police Department was assisted at the scene by the Seneca County Sheriff’s Officer Road Patrol and Narcotics Unit.